I bloody love beauty and I’ve learnt to be completely unapologetic about that love, but I’d just like there to be a little more variety on this blog now, especially since a lot has changed for me in 2016. 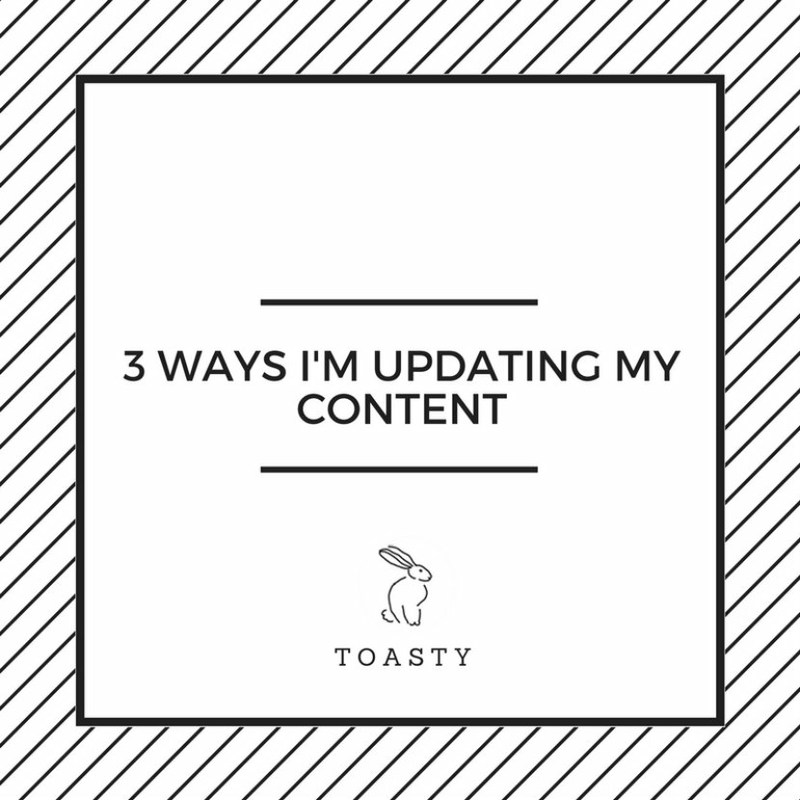 Basically, I want Toasty to reflect what’s going on in my life a bit more, so there are three main topics I’ll be blogging about from now on. There’ll still be a tonne of cruelty-free beauty, with the usual honest opinions about products for every budget. I’ve been leaning more towards high end recently but I’d like to include more high street options again, although it can be quite difficult to think outside the box! I’ll do my best and let you know what I find. I’m hoping to write more posts about life as a newly-graduated 20-something because, well, I’m a newly-graduated 20-something sticking my nose out into the real world for the first time, and it’s scary. And yet there’s so much possibility out there that sometimes I forget to be nervous (only sometimes though!) Sharing my experiences will hopefully make them less daunting — chances are someone else will be going through the same thing. Finally, there’ll be some food posts. I recently made the decision to cut meat and dairy out of my diet and I’d like to document the process, sharing recipes and What I Ate in a Day posts with you. I’m going to be figuring out how to make meat-free, dairy-free versions of my favourites, too, so I’ll let you know whether or not they’re a success. That sums it all up, I think! Is there anything you’d like to see on the blog? And what do you do when your blog needs a refresh? Let me know in the comments!